The 2018 BMW X3 wasn’t supposed to be in front of your eyes until Monday, but the manufacturer’s local website in Hong Kong seems to have dropped the truly riveting new compact SUV a few days early. Yes, it’s hard to care about, but now the top X3 actually gets a decent amount of power. CarScoops found some specs and photos on the X3 page of the website, which is still up as of Saturday morning. 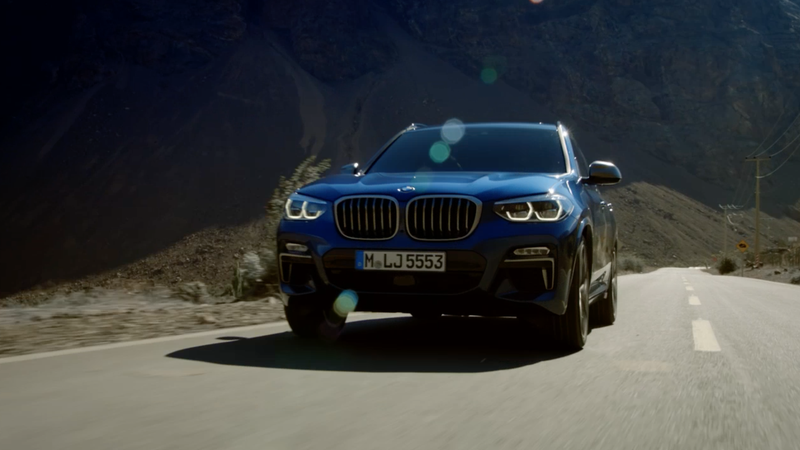 The website says the M Performance model, the X3 M40i, will hit 62 mph in 4.8 seconds, has a maximum speed of 155 mph and will get an advertised 28 miles per gallon. CarScoops reports that the M40i will make a not-terrible 360 horsepower from a 3.0-liter twin-turbocharged inline-six engine. Previously the top-shelf X3 had just 300 HP. Clearly, BMW is gunning for some kind of Audi SQ5 competitor with this new model, and that is not a bad thing. BMW’s Hong Kong webpage also notes the X3 xDrive20d and xDrive30d diesel models. Four-cylinder turbocharged gasoline versions, including the US and Canadian market 2.0-liter xDrive30i with the same 248hp output as on the new 530i, will be added to the range. Later on, we will see a plug-in hybrid baby [sibling] to the X5 xDrive40e with a 2.0-liter gasoline engine, as well as the first pure M X3 sporting a version of the M3’s 3.0L straight-six with over 400 horses. But while you might wonder who exactly cares about this sort of thing, the answer is a whole lot of people. Rather than hearing your constant cries for wagons and for the M-branded cars to not totally succumb to the automatic transmissions, the noise BMW seems to be hearing is that of sweet, sweet money. Just like most other compact SUVs and crossovers, the X3 sells—a lot. And below are some photos. Everyone bow down to the crossovers and SUVs, because they are our new overlords—until the machines take over, that is.